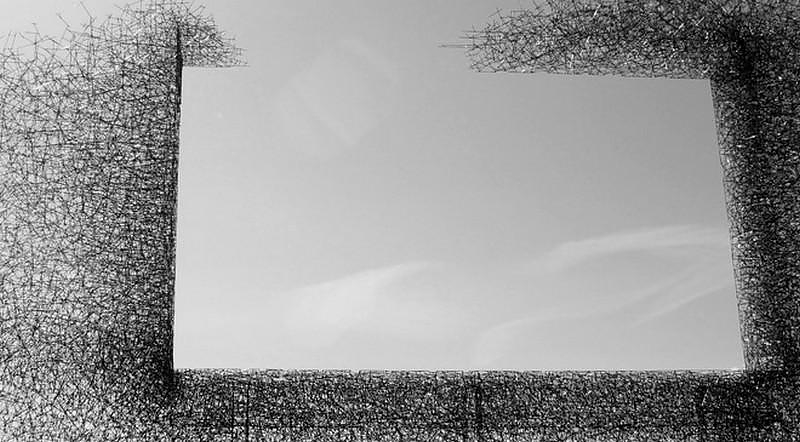 Non-Billboard an anti-advertising installation by Lead Pencil Studio. 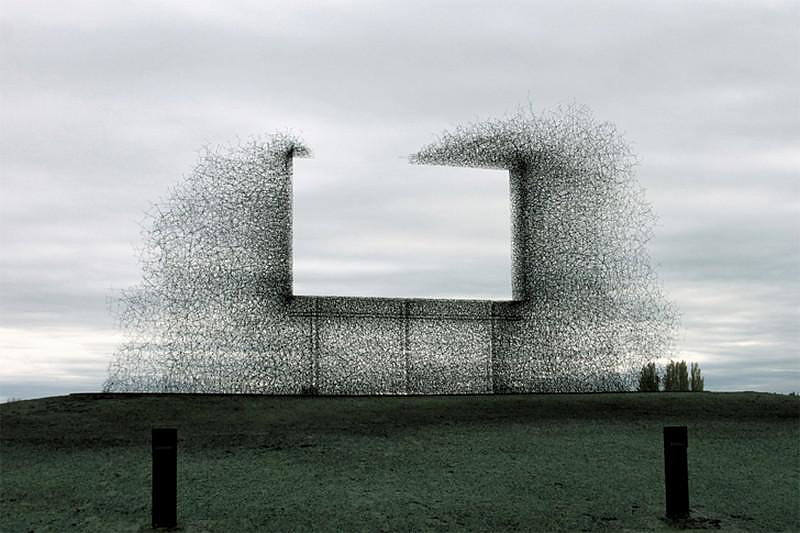 HomeBlogArchitectureNon – Billboard an anti-advertising installation by Lead Pencil Studio. 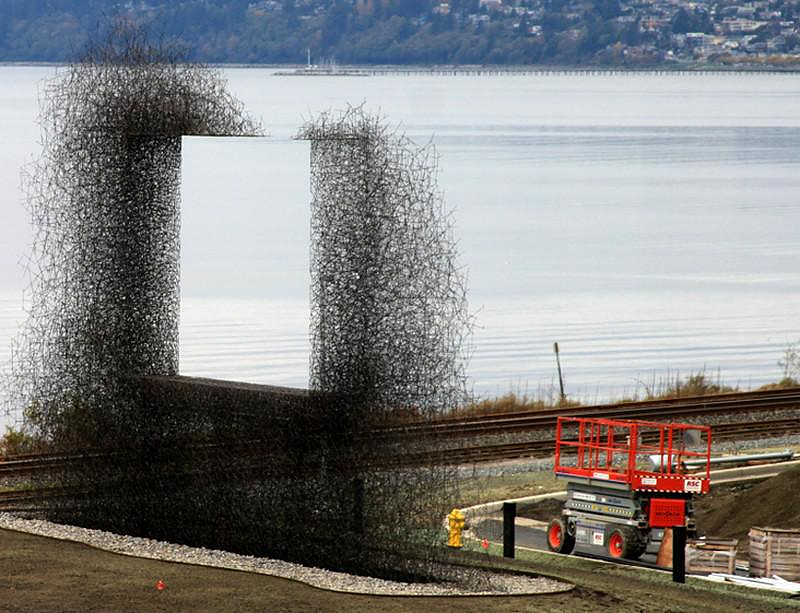 Non-Billboard is an open air installation by Lead Pencil Studio. 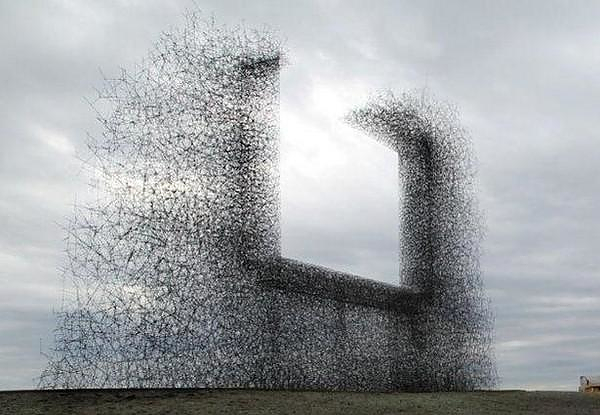 It is their most iconic work, a massive sculpture that leaves a negative space impression of a freeway-side billboard. 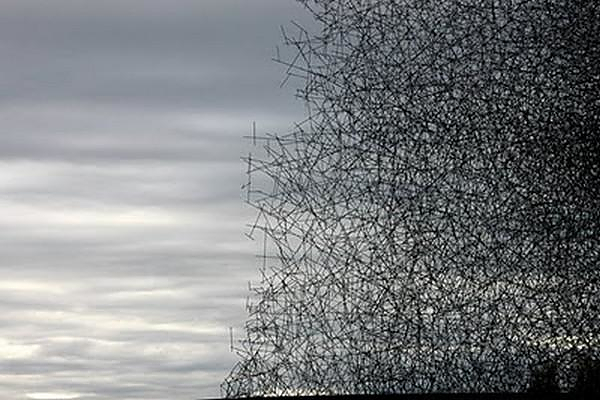 The canadian goverment funded the project and the sculpture is made from small stainless steel rods that are assembled together to create the negative space of a billboard. While most billboards draw attention away from the landscape ‘non-Billboard’ frames the landscape, focusing attention back on it. 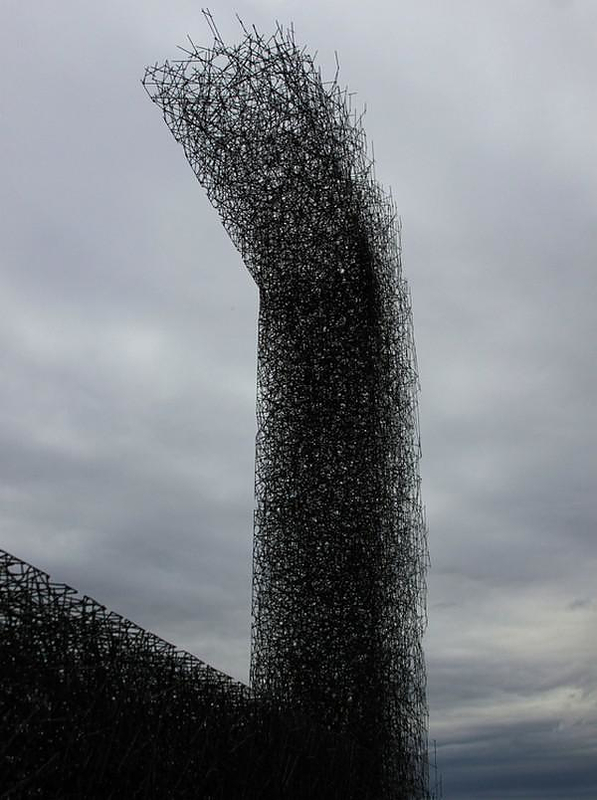 Questioning consumer culture is a reoccurring theme of Lead Pencil Studio’s work. This stunning billboard gives us a break from constant images, colors, and words, and reintroduces us to the simple beauty of the environment. 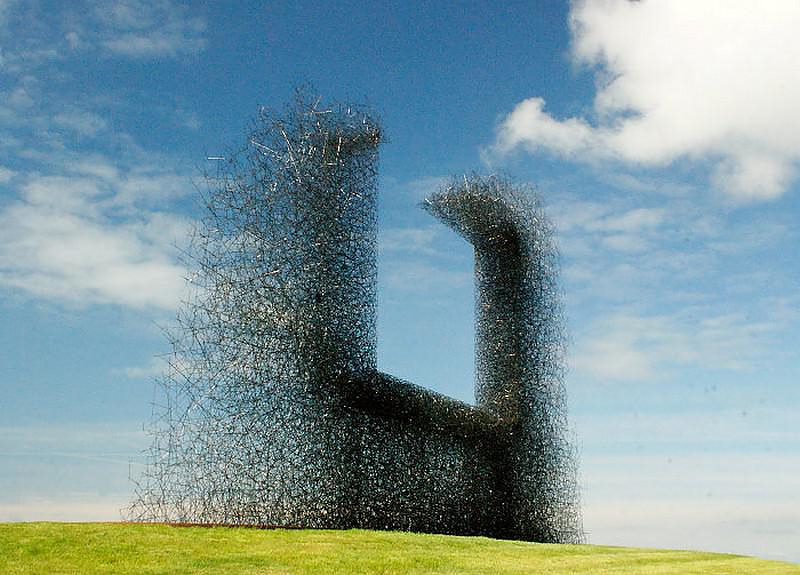 Lead Pencil Studio is an art installation firm that was formed by two artists and architects Annie Han and Daniel Milhalyo, in 1997. 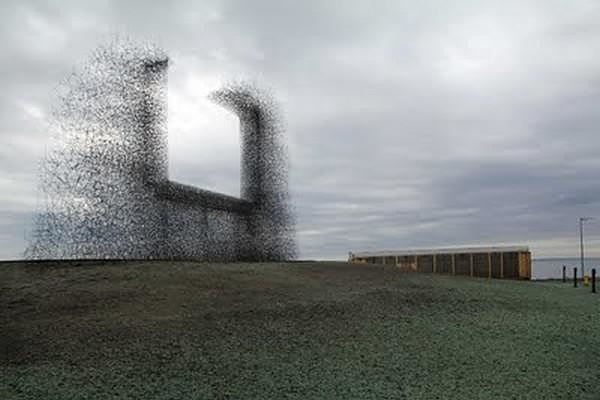 It is a Seattle-based collaborative focused on architecture-inspired installation art that challenges notions of space and function. They describe what they do as “architecture in reverse…our projects are everything about architecture with none of its function…spaces with no greater purpose than to be perceived and question the certainty posited by the man-made world”.